A company’s reputation is determined by the quality of its products and services. In today’s always-connected world, it only takes seconds for bad news to travel around the globe – which, unchecked, can lead to a full blown PR disaster. Remember when a new product launch was the talk of the town? Think back when Steve Jobs unveiled Apple’s first iPhone – heralding the beginning of the smartphone era. When launch day finally arrived, countless Apple fanboys camped out in front of stores for a chance to be one of the first iPhone owners. Unless you were one of the lucky few at the front of the queue, most shoppers returned home dejected and without a new toy. Despite the very pricey US$600 price tag, the iPhone revolutionised the mobile industry by integrating phone, email, music, navigation and other features in a single device. 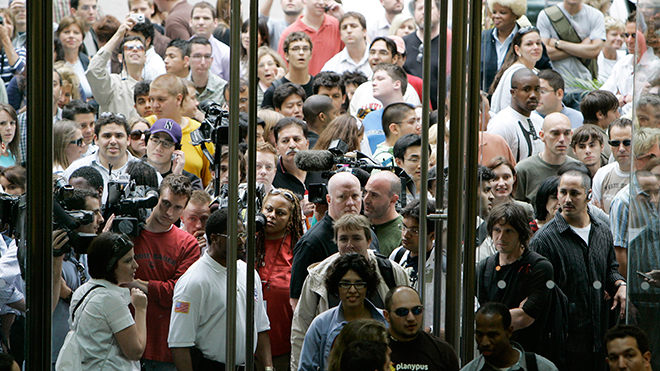 Shown here is the crowd outside Chicago’s Michigan Avenue Apple store before the iPhone’s launch in 2007 – which saw lengthy queues of eager consumers camped outside storefronts around America. Seeking to avoid this disappointment, some companies (especially in tech or video games) allowed consumers to preorder their new product before it was released – effectively reserving a copy for launch day. However over time, preorders became less about fulfilling customer satisfaction and more about companies padding their sales figures. According to a Kotaku interview with Chris Wright (former executive at video game publishing and developing company THQ), preorders are an indicator of how well a game will sell. “Preorders inform the retailer,” says Wright. “Orders to the publishers are often heavily based on that.” In other words, preorder figures are how publishers convince retailers that their new product will sell. Companies then began experimenting with the pre-order system by introducing limited edition and collector’s edition versions of their products – usually featuring cheap knick-knacks, artwork, soundtracks or other goodies on top of the base product as a means of jacking up their prices. “Publishers want to get pre-orders up, that helps you sell more stock,” adds Wright. “That's why so many of these offers are about pre-orders for specialist games. It's basically money in the bank." Bethesda’s Fallout 76 Power Armor edition was advertised to include a durable-looking canvas bag, but was shipped to consumers with a shoddy nylon bag instead due to budgeting errors – much to the dismay of fans. Bethesda Softworks, the company responsible for the hit Fallout and The Elder Scrolls video game series, recently became the latest target of ridicule after they disappointed fans with the Fallout 76 Power Armor edition – a package boasting a hefty US$199.99 price tag, a wearable helmet and a branded canvas duffel bag. The helmet and duffel bag were the obvious stars of the show, so when fans received their packages and found a flimsy nylon bag instead of canvas, they became understandably upset. The video game publisher’s explanation behind the sudden change in material was simple – “the bag shown in the media was a prototype and was too expensive to make.” The question on everyone’s mind was then, why would you advertise something that you couldn’t deliver? Adding insult to injury, disappointed fans were not allowed to refund their products despite the clear differences between what was advertised, resulting in a potential class-action lawsuit over deceptive trade practices. 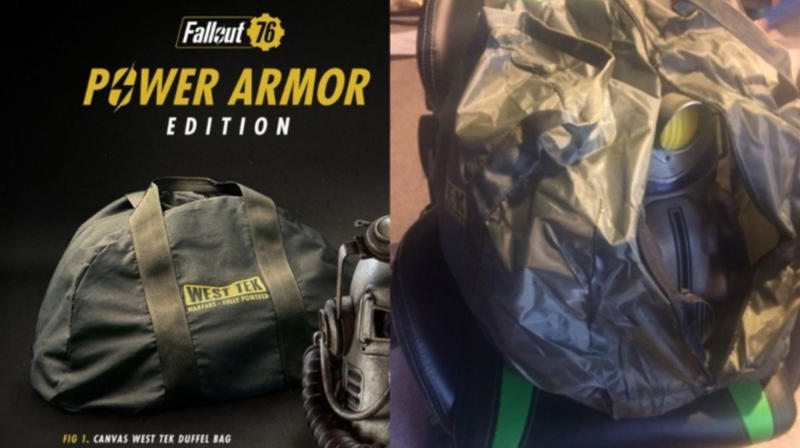 As of December 3, 2018, Bethesda has attempted to make good on their advertising and offered all prior purchasers of the Power Armor edition a replacement canvas bag – it only took the collective fury of the Internet and a crumbling publisher-consumer relationship to get things right! A portion of Samsung’s Galaxy Note 7 phones were manufactured with defective batteries that created a significant amount of heat while charging – enough to melt the phone’s casing and cause burns to anything around it. Recall the Samsung Galaxy Note 7 that was released in 2016. 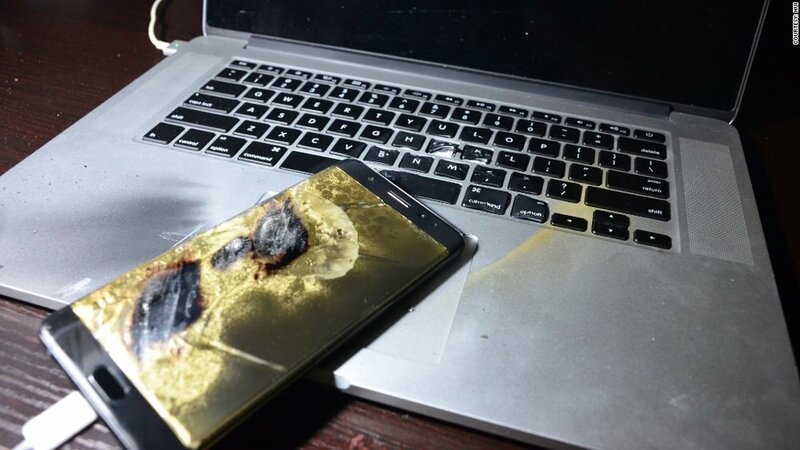 The supposed successor to the hit Galaxy Note 5 mobile device (the Note 6 was skipped over), the new phone performed abysmally due to issues with overheating from a faulty battery – even causing fires in several cases. Despite not every device being afflicted, corporate headquarters deemed the collection to be a potential hazard and forced a global product recall that costed the company billions in damages and lost revenue. To make matters worse, the company’s heir Lee Jae-Yong was involved in a political scandal that lead to the impeachment of the country’s president. Samsung’s reputation couldn’t be any lower. 5. Personalisation– where customers feel that their experiences with the company are not one-off experiences and are tailored to meet their evolving needs. Samsung is one such living business. Despite canning the Note 7 line and suffering significant losses, they vowed to fix all problems associated with the battery (and more) in their new Galaxy S8 phone – brought on by the extensive eight-point battery-inspection checklist and the brand actively offering communicational transparency to consumers to regain their trust. "Look at the automobile market – there have been major safety recalls by every major car brand, and consumers keep on buying those brands. Samsung did a good job explaining their eight-point battery safety program," says Patrick Moorhead (principal analyst at Moor Insights & Strategy) to NBC News. Putting behind the debacle involving the Note 7, consumers once again felt good using Samsung’s mobile devices. Samsung’s advertising for the Galaxy S8 steered away from their traditional functionality-driven narratives – focusing instead on inspiring audiences through their “Do What You Can’t” tagline. Even in the face of the company’s leadership being sentenced to prison, the company still performed admirably and company stocks surged upwards. "Very few consumers, if any, know or are interested in what’s happening to Samsung’s senior management outside of Korea, good or bad," adds Moorhead. "In Korea, it is viewed differently. Some see it as political and unwarranted, others see it as someone getting what they deserve. Therefore, brand impact was split." Try as we may to anticipate and prevent PR disasters, sometimes there’s just no foreseeing it. Should it occur, it’s important to focus not just on resolving the current issue – but heading off future problems that may arise from it. After all, a company that makes their consumers feel understood (and appears to have their best interest at heart) is one that gains customer loyalty. If you’re ever unsure about how to maintain empathy and transparency with your consumers, your local copywriters will be eager to help you out!